With Valentine’s Day coming up, I thought that I would share a popular book around our house about love. It is entitled “I Love You Through and Through” by Bernadette Rossetti-Shustak. It is not exactly a board book, but close. The pages are thicker than usual and the cover is puffy. The background of all of the pages remind me of tissue paper with specks of color. All of these details add to the charm of this book. We bought this book originally for my daughter and it was her absolute favorite book, and after my son was born it quickly became his favorite as well. A young boy and his teddy bear are the characters of this book and the reader/narrator is telling the child what they love about them. The illustrations, by Caroline Jayne Church, are adorable. The little boy really reminds me of my son. For example, on the cover, the boy is holding his bear high in the air and his belly is hanging out of his shirt (I love big baby bellies!). The narrator loves the child inside and out. They love the child no matter what they are feeling or what they are doing. A favorite part for my kids is when I read about the different body parts that I love. The book reads “I love your fingers, and toes, your ears and nose.” I always tickle each body part as I read it and my kids crack up! The final line of this book is the best and just pretty much sums it up “I love you through and through..yesterday, today, and tomorrow too.” Ahhh..how perfect?!?! 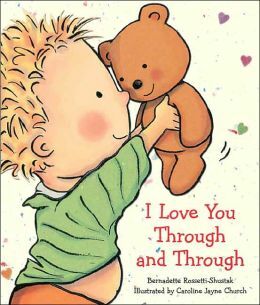 If you are looking for an adorable book to tell your children (probably about 5 and under) just how much you love them, I highly recommend picking up “I Love You Through and Through” By Bernadette Rossetti-Shustak. Enjoy! The price listed on the book is $8.95, but at the time of writing this post, I found it online for about $5-well worth it. The book would make a great gift for Valentine’s Day, birthdays, and for new parents. Our family was lucky enough to receive the Duplo Brick and Build kit for Christmas. 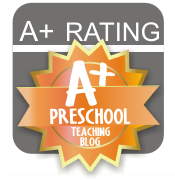 My kids adore it, so I thought that I would share a review with you. In each kit, your child gets a book and several different Duplo pieces. As you read the story, there are different figures or objects that your child can put together that correspond with the story. For example, Santa brought us the Busy Farm version in which my daughter puts together a pig, horse, sheep, and rooster as the story unfolds. My daughter just turned three and this is perfect for her. The Duplo pieces are large, the directions are clear, and the animals are very easy to create. With a bit of strategy and effort, my daughter can have the satisfaction of creating something all by herself. The book is a ten-page, rhyming, simple board book. It is a VERY simple story, if you can even call it a story, but it helps to review the names of animals and what sound each animal makes.